The sky and cypress trees of Caddo Lake are reflected in the still waters of the lake on this June evening. This unique sanctuary is found in east Texas, but you’ll need a boat to see most of it. 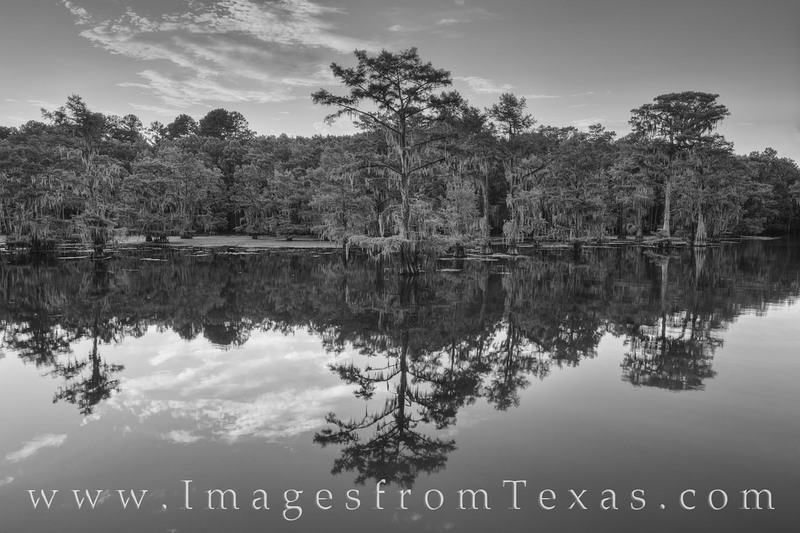 However, this black and white image was taken at Caddo Lake State Park from the pier and is easily accessible. Photo © copyright by Rob Greebon.